The effort unions put into unseating former Gov. Bruce Rauner paid off dividends on Gov. J.B. Pritzker’s first full day on the job. Pritzker moved to give approximately 20,000 state employees raises they’d been denied by Rauner since 2015 despite being part of the AFSCME union’s contract, and despite a court order. It’s unclear how much that will cost Illinois, which is already facing a $1.2 billion deficit. Previous estimates pegged the cost at $415 million. Pritzker’s office was unable to provide a figure. AFSCME, the union with the members who will be most affected by the change, likewise could not provide an amount. 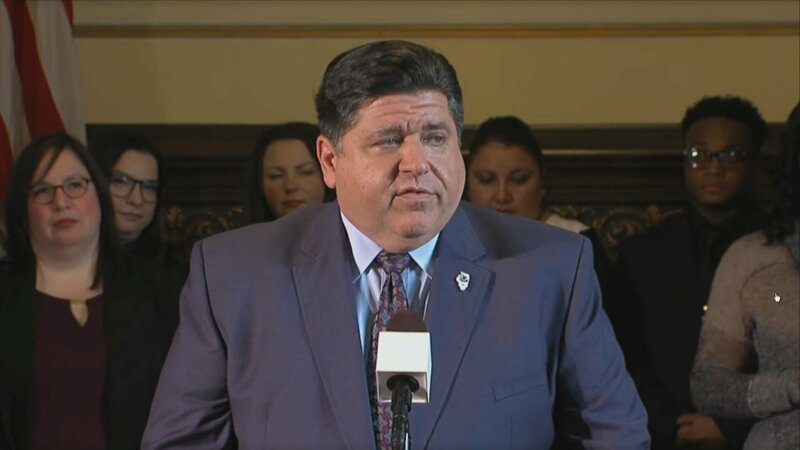 Pritzker’s move Tuesday is prospective, meaning that state employees eligible for what are known as “step raises” will be paid more (“at their appropriate step for purposes of pay” is how Pritzker’s office describes it) going forward. Still unresolved is back pay for step increases missed the past few years. AFSCME’s last contract with the state expired as of July 2015. Pritzker and the state’s largest public employees union both say they will resume negotiations that stalled under Rauner. The head of the state GOP was quick to criticize the move as one Illinois can’t afford. The move comes as Pritzker, the billionaire heir to the Hyatt fortune, has taken the unprecedented step of doubling his top staff’s public pay with his own money. Chief of Staff Anne Caprara, for example, will be paid $148,000 by the state but will also get a $150,000 annual paycheck from a new Pritzker company, for a total of $298,000. Pritzker says the additional salaries were necessary to attract top talent. But the move raises ethical questions. Among them: What precedent does it set if future governors the personal wealth to supplement public employees’ salaries? The new governor, a Democrat, also signed his first law on Tuesday afternoon at his desk in the ceremonial office of the statehouse. The measure sets stronger prevailing wage requirements. Rauner tried, but failed, to repeal Illinois’ prevailing wage laws, which require that government-funded public workers projects pay all construction workers wages comparable to what local unionized construction workers would make. The law will also require the state labor department to track the number of women and minorities hired for public works projects, in an effort to increase diversity. And state agencies will not ask applicants about their salary history, per an executive order Pritzker signed. Advocates say pay disclosure negatively impacts women by perpetuating a pay equity gap, as women are historically paid less than men. It’s likely that change will apply to Illinois businesses in the future. While Rauner vetoed previous so-called Equal Pay Acts, Priztker has indicated support for prohibiting companies from asking applicants about their previous income. Pritzker’s first press conference as governor started nearly a half-hour late, leading to good-natured speculation as to whether the new administration’s slow start was due to the lavish inaugural celebration Monday night. Maroon 5 – set to perform at the Super Bowl – headlined the event, and the normally drab Exposition Building at the Illinois State Fairgrounds was transformed into a ballroom, replete with two stages, a series of chandeliers, purple bunting and lighting and Illinois-themed backdrops. Pritzker paid for the entire affair out of pocket, and proceeds from the $250 tickets went to the Illinois State Fair Foundation and Cabrini Green Legal Aid. A spokeswoman said the campaign is still working to see how much money was raised. Pritzker and his office ignored repeated questions as to how much the inauguration party cost. “We simply wanted everybody to have a good time after the new administration had taken office, and we are launching in today with standing up for working families and doing what’s right for them,” he said.